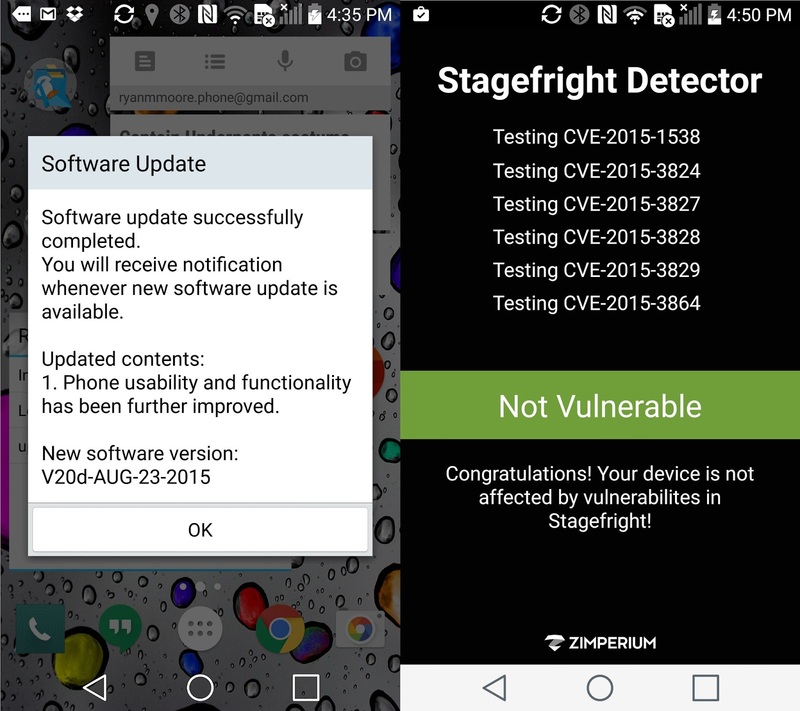 First it was the G4, then the G2, now the G3 can join the ranks of 'free from Stagefright exploits'. OTA was pretty quick too! So that's all the big flagships from LG. What about the other OEMs?